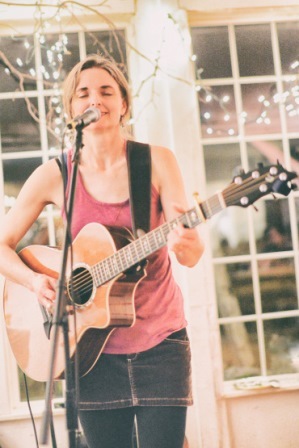 Jenny's original songs hit with passion and humor on the many facets of human vulnerability. Nowhere is that more obvious than on her recently released debut album Something Real. This collection of heartfelt originals combines insightful poetry with inspired chord progressions and embodies the poignancy, joyfulness, tragedy and, above all, humor of being human. Jenny's performances are delivered with a potent stage presence and vocal horsepower that listeners have compared to Alison Krauss and Emmy Lou Harris.